Shiny brass — it may not shoot more accurately, but it does make you feel better about your hand-loaded ammo. 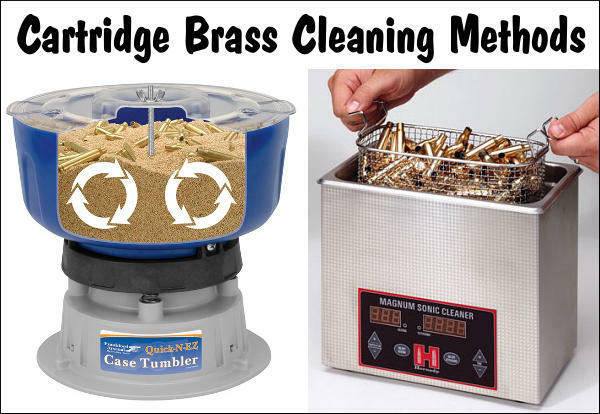 While it’s not necessary to get brass “bright and shiny” after every firing, it is a good idea to clean powder residue, grime, and grit off your brass before you run cases into sizing dies. 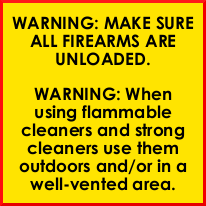 There are many ways to clean cartridge cases. A quick wipe with solvent on a patch may suffice for recently-shot cases. Older brass with baked-on carbon may require lengthy tumbling. Ultrasonic cleaning is another popular option that gets your brass clean inside and out. Sinclair International has a series of helpful videos on brass cleaning. These short “how-to” videos, hosted by Bill Gravatt, Sinclair’s past President, cover the various processes you can use — tumbling, ultrasonic cleaning, chemical cleaning, and cleaning by hand. 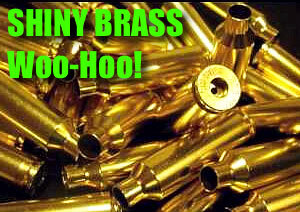 TIP: Brass that has recently been shot will clean more easily than brass that has been sitting many days or weeks. If your tumbling media is fresh the job should be done in an hour or less. It’s your choice whether to tumble with primers removed or with primers still in the cases. If you choose to tumble with primers out, we suggest you deprime with a depriming die, rather that put dirty brass into your sizing die. Some people like to add a teaspoon of liquid polish to the media. This does work, cutting tumble time, and making your brass more shiny. However, if you add liquid polish, do that BEFORE you add the brass and let the tumbler run for a 15 minutes to get the polish completely mixed into the media. Otherwise you can else up with gooey gunk inside your cases — a very bad thing. TIP: There are many different types of solutions you can use. Soapy water suffices for some folks, particularly if you add a little Lemi-Shine. The Hornady and Lyman solutions work well, and can be used multiple times, provided you strain the solution to remove dirt and grit after cleaning sessions. Many ultrasonic cleaning machines have timers. Experiment with dwell time to see how long you need to immerse your brass. A very small amount of Ballistol in the solution will help lubricate your necks on the inside. This can make bullet seating go more smoothly, with more consistent neck tension. TIP: After using chemical cleaners, such as the Iosso solution, you need to water-rinse your brass thoroughly. A kitchen strainer helps with this (see video at 0:20). Also, don’t forget your brass in the chemical solution — follow the manufacturers recommendations and don’t exceed the recommended dwell time. Chemical cleaners work surprisingly well to remove grease and grime, and the solution can be re-used multiple times. However, if you want your cases to look bright and shiny (like new brass), you will probably have to tumble. [Editor: A very effective new chemical cleaner is the Brass Monkey product from the makers of Wipe-Out and Carb-Out. Add a teaspoon to a gallon of water then soak your brass for 20-30 minutes. It really works — the cases clean up dramatically]. TIP: Keep some oversize patches in your range kit. At the end of your shooting sessions, wipe off your fired brass with a patch dampened with a mild, non-corrosive solvent (once again Ballistol works well). Before the carbon sets up on your brass it is very easy to remove. For tougher jobs, you can use 0000 Steel Wool (as Bill recommends in the video). You may find that timely hand-cleaning lets you avoid tumbling altogether — or you may choose to tumble (or ultra-sound) your brass only after a half-dozen or so firings. Share the post "Brass Cleaning Options — Tumbling, Ultrasonic, Chemical & More"
This article originally appeared in the Sinclair International Reloading Press. We have all been there…..you place a piece of tumbled brass in the shell-holder of your press, raise it into the die, and suddenly it is like somebody hit the brakes. The case is stuck in the die. Your first instinct is to reverse it out. You crank on the handle, and BANG! The rim rips off the case head and you are looking at a piece of brass stuck in the die. A stuck case is one of the boo-boos that all of us reloaders have faced from time to time. If proper lubrication is applied, then it should not be a problem. No matter if you are a seasoned reloader or new to it, this situation can happen. Take your time, use the proper procedures, and you will be back in business in no time! This article explains how to avoid stuck cases (through proper lubrication) and how to use a stuck case removal system. A great way to ensure that your dies are clean is to use a simple chamber mop with a dab of your favorite solvent on it and clean out the die. Be sure all of the solvent is out after cleaning by spraying the die out with Quickscrub III or use a clean chamber mop. If you are storing your dies, you can apply a thin coat of a good oil to protect the steel such as TM oil or Starrett M1 Spray. If you do stick a case in your die there are a few good stuck case removal kits available. Each one works in a similar fashion. 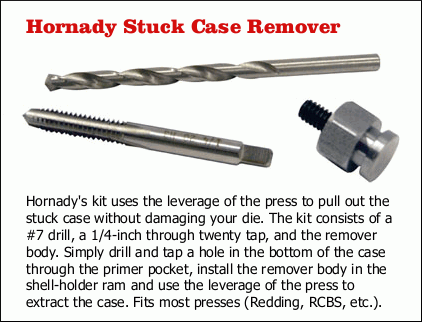 I have found the Hornady kit very effective and easy to use. Basically what you do is remove the die from the press. Unscrew the decapping assembly and pull it out as far as you can. You then need to drill/tap threads into the stuck case head (this is why it is suggested to unscrew the decapping assembly as far as you can to get it clear of the drill bits). Once this is done screw the die back into the press. You then install the included shellholder attachment on the shellholder ram, and thread it into the case via a small wrench. With some elbow grease you can reverse the stuck case out of the die with the leverage of the press, and not damage the die. However if the case is stuck….REALLY stuck, you may pull out the threads on the case and you are still left with a stuck case in the die without any way to pull it out. If the case is really difficult to remove even with the use of a stuck case removal kit, do not try to be Hercules with the press ram. Here is a trick that may work. Take the die with the stuck case and place it in your freezer for a couple of hours. Then repeat the removal with the cold die. The freezing temperatures may cause the brass to contract, and make removal easier. If this does not work it is recommended to send it to the die manufacturer. They will be able to remove the case without damaging the die. Another fix if you can remove the decapping assembly completely is to use a tap hammer and a punch or small wooden dowel to knock the stuck case out. This isn’t the best way since it is very possible that you will damage the die internally or externally on the threads, or both. Send the die to the manufacturer to have this done properly. You will be happier in the long run. This article appears courtesy Sinclair International. It first appeared in Sinclair’s Reloading Press Blog. Share the post "Common Reloading Mistakes, and Their Cures — The Stuck Case"
Available for under $200.00 including front bag, the Caldwell Fire Control front rest is a remarkable value. It makes the co-axial, joystick design more affordable than ever. We used the Fire Control front rest when testing our Ultimate Varminter 20 Practical AR. Once we removed some sand from the tri-lobe front bag, the rest worked quite well. 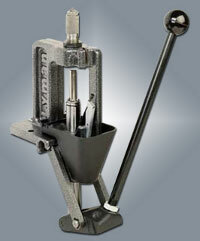 Precision Reloading is running a sale this week on Caldwell products. 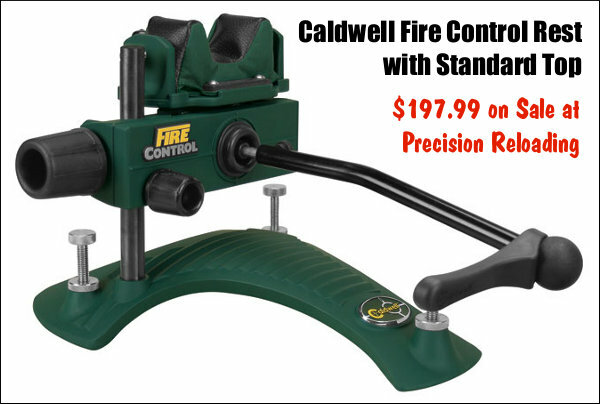 Now through May 23rd you can get the Caldwell Fire Control Front Rest for just $197.99. That’s a great deal for guys on a tight budget who want a modern joystick-style front rest. With the conversion described in this article, you can put together a system that works pretty darn well, and is more than adequate for many applications, including prairie-dog hunting (from a bench). 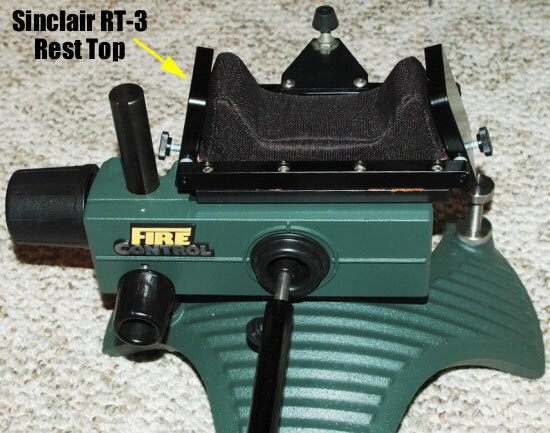 To adapt the Sinclair RT-3 or Gen II B/R top, Doug merely had to drill a couple holes in the RT-3 baseplate, and adapt a spacer to get the height correct: “The Caldwell factory top has a raised mounting portion so a 1/8″ piece of stock will be needed as a spacer to the flat-bottom RT-3. 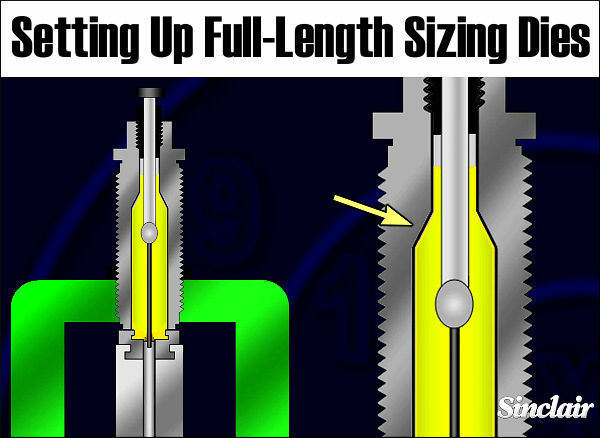 The spacer needs to be cut to the same length as the movable portion on the rest. And you should plan the mounting accordingly so the left thumbscrew clears the vertical height column at full left position (there is a cutaway in the rest under the thumbscrew that allows for easy access to the screw).” We have labeled the photo with dimensions, but Doug cautions you should measure your own original plate to insure the drill locations are correct for your unit. The completed installation, with the RT-3 installed on the Fire Control rest is shown at the top of this article. Doug says it works very well. 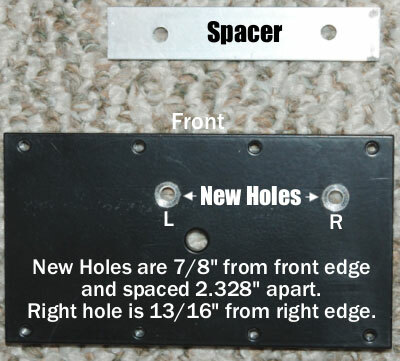 To learn more about this conversion, with Doug’s measurments for the hole-spacing and his specs on the fasteners, go to the original thread in our Shooter’s Forum. NOTE: Sinclair no longer sells the RT-3 top, but Sinclair’s $75.99 Gen II B/R top can be converted just as easily. 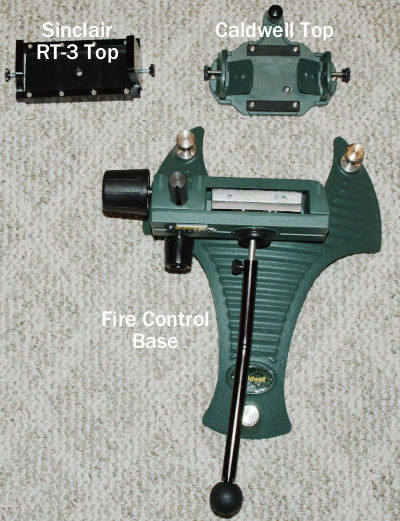 LINK to Fire Control Rest Top Conversion Forum Thread. Share the post "Budget Co-Axial Rest — The $200 Caldwell (Plus Upgrade)"
Most competitive shooters are pretty good about bore cleaning (some may even clean their bores too aggressively). However, we’ve found that many shooters neglect the chamber area and the bolt lug recesses. It’s too easy to clean the bore, slip out the guide rod and say “I’m done.” Sinclair Int’l explains why it’s important to clean the action interior: “Shooters use a lot of grease and oil on their bolts to reduce friction and to prevent wear[.] Unfortunately, both of these compounds attract grit, powder and primer residues. Cleaning your receiver is especially critical [with] custom actions where the fit between the action and bolt is held to very tight tolerances. Routine cleaning of the action will prevent unnecessary wear on the bolt body, locking lugs, and the action raceways/guide rails. Frequent action cleaning is also essential to keeping the trigger area free of debris which can cause trigger hang-ups and failures.” Below, we present action cleaning advice from Sinclair’s Reloading Press Newsletter. Combustion by-products, lubricants, and solvent residues can collect in your chamber. Severe build-up of grease and carbon can interfere with chambering. Also some solvents will promote corrosion. You need to keep your chambers clean. 1) Install a clean cotton mop of the correct size on the end of a chamber rod and insert the mop into the chamber. Rotate the mop several times to remove any brush bristles left behind and any excess solvent that was between the rod guide snout and the end of the chamber. Make sure the chamber is dry. Prior to storing a rifle you can oil the chamber but make sure the oil is removed prior to firing the rifle. 2) Alternatively, install an old bore brush on a chamber rod, overlap a couple of patches on the brush bristles, and wrap them around the brush completely. Then insert the patch-covered brush into the chamber while rotating it to remove the excess solvent and debris. Push it firmly into the neck area of the chamber. A similar method is to pierce a large patch on the end of the brush loop and insert it into the action, again rotating the brush as you push the patch up against the breech. The action lug recess area is one of the dirtiest places on a bolt-action rifle. 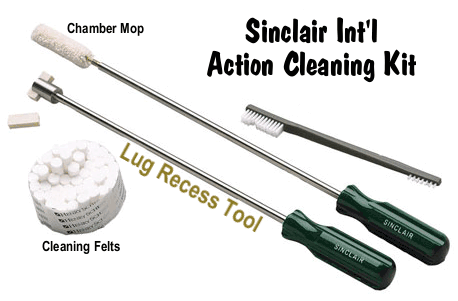 To properly clean this area, always use a tool designed for the task, such as the $21.50 Sinclair Action Cleaning Tool (part # ACT1) which is part of the Sinclair Action Cleaning Tool Kit (now on sale for $29.99, part #ACT2). 1) Insert a cotton roll or cleaning felt into your lug recess cleaning tool and wet both ends and the face of the cotton roll/felt with solvent. 2) Insert the tool into the action and push it forward until it is positioned fully in the lug recess area and rotate the tool head several times. Then reverse the rotation for another few turns. 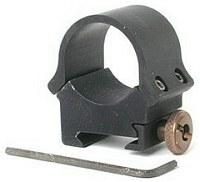 While rotating the tool move it slightly in and out to cover the entire recess area and to also clean the breech face. 3) Remove the tool from the action and inspect the surface of the felt or cotton roll. If there is quite a bit of residue on both sides of the felt/roll, then repeat with another wet felt/roll. 4) When you feel the recess area is completely clean, insert a dry cotton roll into the tool and rotate the tool head to remove any remaining solvent and debris. If necessary, use a second dry cotton roll. 5) You can follow this step up with another pass of a mop or patches into the chamber to get any debris or solvent that pushed forward out of the lug recess area. Cleaning Tips from The Reloading Press, used courtesy Sinclair Int’l, All Rights Reserved. 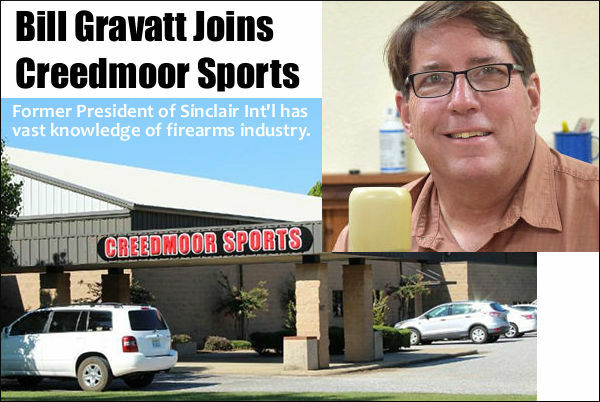 Share the post "TECH TIP: Clean Your Chamber and Lug Recesses"
Great news for shooters –Bill Gravatt (former owner and President of Sinclair International) has joined the team at Creedmoor Sports. Bill will work with Creedmoor on product development, customer service, and other key tasks, bringing his decades of experience to Creedmoor’s operations. Creedmoor Sports is a company on the rise — it now offers a full line of ammunition, and in recent years Creedmoor has launched its own successful “brick and mortar” retail stores. Creedmoor Sports produces rugged, well-built equipment for precision-driven rifle shooters. Creedmoor offers products for centerfire, smallbore and air rifle/pistol disciplines, as well as hunting and recreational shooters. For more information, visit CreedmoorSports.com. 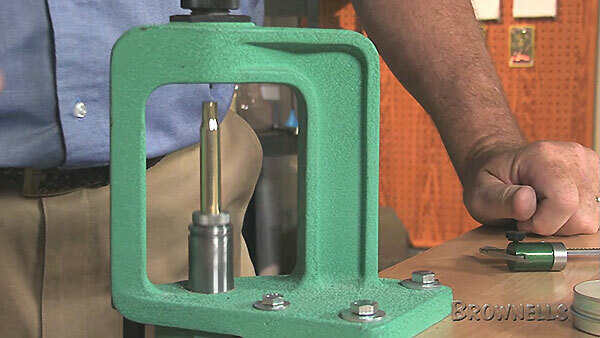 Share the post "Bill Gravatt Comes on Board at Creedmoor Sports"
Sinclair International offers a handy tool assembly that lets you sort bullets by base to ogive length. Yes you can do this with a comparator tool attached to calipers, but the Sinclair tool really speed up the process when you’re sorting large quantities of bullets. The $79.99 Sinclair Bullet Sorting Stand with Dial Indicator (item 749-011-469WS) comes with a heavy black granite base that stays put on your loading bench. The included analog dial indicator has a quick-release lever allowing easy placement and removal of bullets into the comparator. 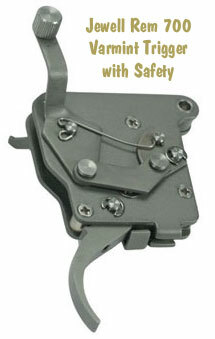 This lever allow the spring-loaded indicator shaft to pop up out of the way. 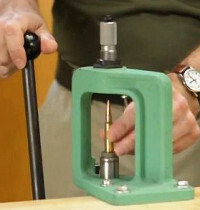 In the video below, Sinclair shows how to use the Bullet Sorting device. Sinclair recommend sorting in batches with variance no greater than .005 (five-thousandths) in base-to-ogive length. We like to hold tolerances even tighter, trying to hold spreads to .003. The special base comparators used with this tool are offered for $10.99 in .22 caliber, 6mm, 6.5mm, 7mm, .30 caliber, and .338 caliber. The sorting stand can also be used with Sinclair’s handy multi-caliber hex-style comparators (items 749-002-942WS, or 748-002-833WS, $19.99). Share the post "Bullet Base-to-Ogive Sorting Tool from Sinclair Aids Accuracy"
For decades, shooters have depended on Brownells to provide tools, parts and accessories for nearly all kinds of modern sporting and hunting firearms. Starting this month, gun owners can now purchase rifles, shotguns, and pistols from Brownells, which has opened a web-based, gun sales division. The company’s entry into selling firearms online makes Brownells a true, one-stop-shop for gun owners and shooting sports enthusiasts. Brownells’ new Firearms Sales Center features more than 3,500 production firearms from over 30 popular gun manufacturers, including Remington, Ruger, Browning, CZ-USA, Smith & Wesson, Sig Sauer, Beretta, Benelli, Glock and more. Customers can order guns online using the simple, step-by-step instructions. 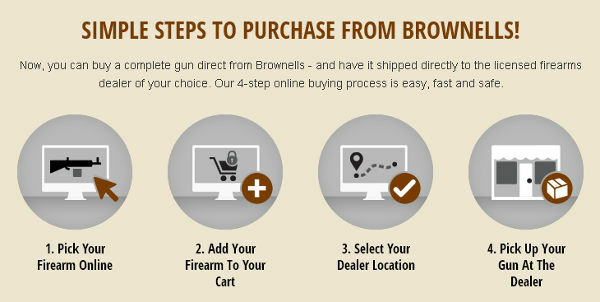 The quickest, easiest method for completing an online gun purchase will be to choose a Brownells Featured Dealer from the online list of FFL dealers who have already agreed to perform transfers on guns bought from Brownells. News Tip from EdLongrange. We welcome reader submissions. 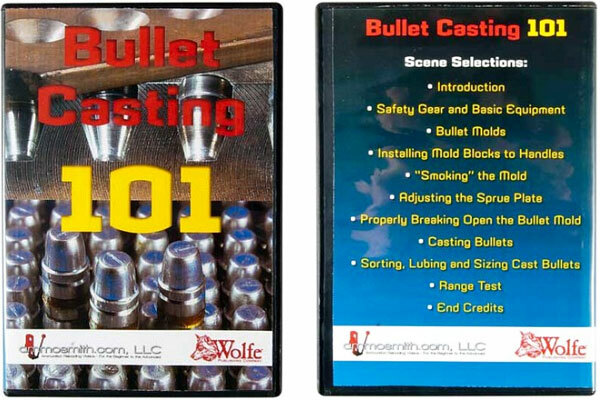 Share the post "Brownells Now Sells Guns — Large Inventory, 30+ Brands"
Wolfe Publishing offers a companion DVD, Casting Premium Bullets for Handguns, that covers more advanced techniques for high-volume pistol bullet production. 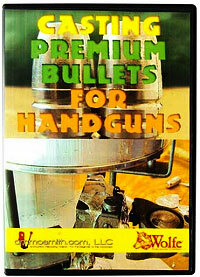 This DVD covers both single-cavity molds and multiple-cavity “gang” molds. (Gang molds can be frustrating at first; it is harder to maintain perfect temp control and mold separation is more complex). The DVD also reveals the sources of most common casting flaws, and explains how to detect cracks, voids and other problems. 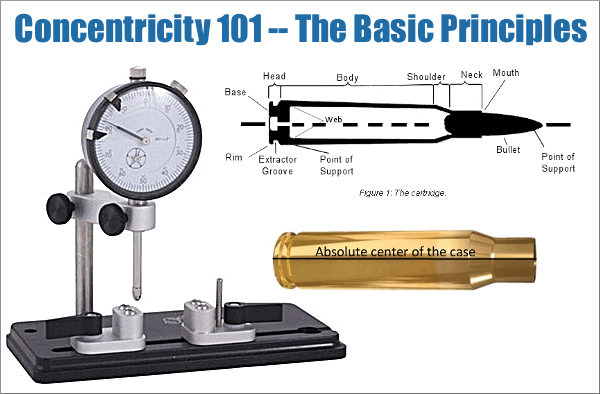 Share the post "Instructional DVDs Show How to Cast Bullets"
Dimensional Stability — Carbide maintains its dimensions indefinitely during heating and cooling. This eliminates the need to allow the mandrel time to cool every few cases. Coefficient of Friction and Wear-Resistance — Carbide exhibits a low coefficient of friction value as compared to all steels and wears up to 100 times longer. This reduces (but does not eliminate) the amount of lubricant required. Galling Resistance — Carbide has exceptional resistance to galling and welding at the surface. This basically eliminates the chance of getting a case stuck on a mandrel due to insufficient lubrication. 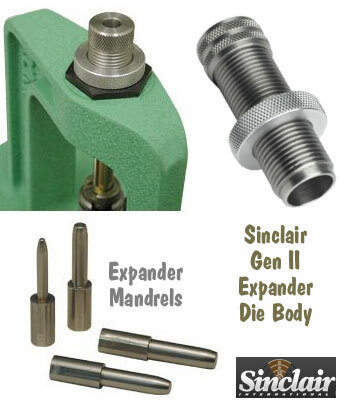 Given the benefits of carbide neck-turner mandrels, you may be asking “where can I get one?” Sinclair Int’l offers carbide mandrels for Sinclair neck-turners for $49.99, in a full range of calibers: 17, 20, 22, 6mm, 25, 6.5mm, 270, 30, and 338. 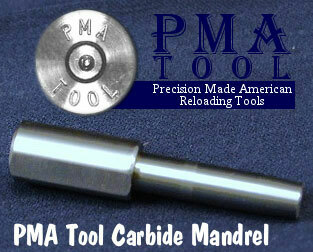 Share the post "Why Carbide Mandrels Work Better for Neck-Turning"
When your cases become hard to extract, or you feel a stiff bolt lift when removing a cartridge, it’s probably time to full-length size your cases, and “bump” the shoulder back. With a hunting load, shoulder bumping may only be required every 4-5 loading cycles. Short-range benchrest shooters, running higher pressures, typically full-length size every load cycle, bumping the shoulder .001-.002″. High Power shooters with gas guns generally full-length size every time, and may need to bump the shoulders .003″ or more to ensure reliable feeding and extraction. Some shooters like to set the “default” position for their full-length die to have an “ample” .003″ or .004″ shoulder bump. When they need less bump, a simple way to reduce the amount of shoulder movement is to use precision shims in .001″ (one-thousandth) increments. 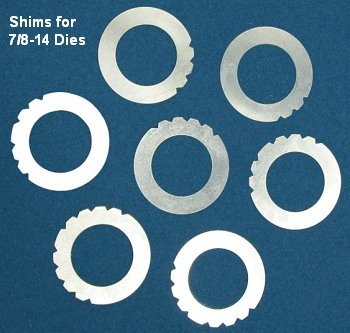 Sinclair’s $12.49 Die Shim Kit (item 22400) includes seven shims in thicknesses of .003, .004, .005, .006, .007, .008, and .010. For ease of use, shim thickness is indicated by the number of notches cut in the outer edge of each shim. Even without looking you can “count” the notches by feel. Share the post "Sinclair Full-Length Sizing Die Shims"
Dan Pohlabel is a member of the all-conquering Team Sinclair F-TR squad. This talented group of shooters hasn’t lost a team match in years. What’s the secret of Team Sinclair’s success? Well there is not one single factor. These guys have very accurate rifles, they work hard on load development, and they practice in all conditions. In this interview, Dan Pohlabel talks about F-TR competition, reviewing the hardware (and skill set) it takes to win. He offers some great tips on developing loads. You’ll find a longer version of this interview on the Sinclair Int’l website. CLICK HERE to Read Full Interview. Q: What do you find most challenging in F-TR Shooting? 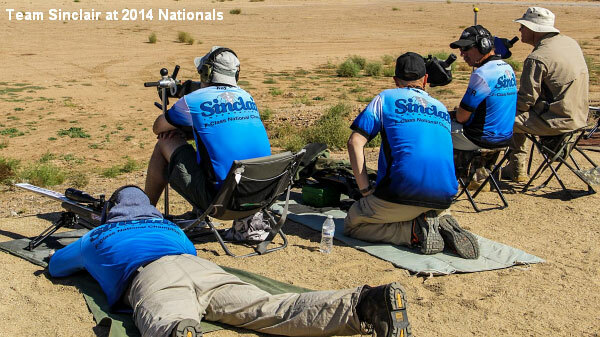 It has to be keeping up with the competition, our sport has grown so quickly with new talented shooters. Staying at the top requires having a laser of a rifle, perfect loads, near perfect wind reading, and, of course, breaking good shots. Q: How can novice shooters improve their game? Seek out the local F-TR shooters and go to matches with them, listen and learn. Attend team matches and offer to score for one of the teams. As a scorer, you will sit close enough to hear the coach make wind calls and see the results on the target. Through the spotting scope you will see changes in mirage and it’s the quickest way to learn the basics of wind reading. Choosing and buying equipment is relatively easy, learning to read the wind is a journey. Q: What’s in your range bag for match days? Rear bag, towel, shooting glasses, canned air, ear protection, data book, pen, rifle rain cover, hat, rifle tools, timer, ammo, and bug spray. Q: What specialized gear can you not live without? 1. A good set of elbow pads. It’s hard to keep concentrating on shooting when your elbows are rubbed raw from days of competing on them. 2. Good bug spray. We shoot from the ground but our shooting mats aren’t that big. It’s hard to concentrate with bugs crawling or chewing on you. Q: Load Development — How do you work up a load? 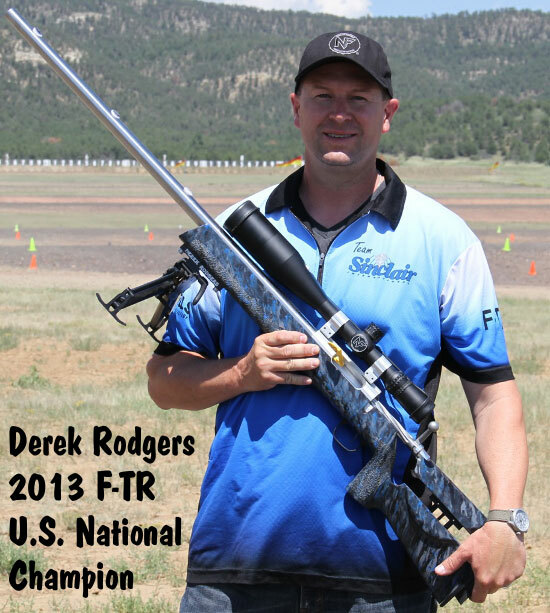 First, I call Derek Rodgers and get his load data, he is the best load development shooter I know! Otherwise, here is the procedure I recommend. Measure throat length with bullet of your choice, to determine how much room is left in the case. The above measurement determines what powders you can use. We use only Hodgdon Extreme powders. Shoot a ladder test, five rounds each in 0.2 grain increments, to find the accuracy node for that bullet/powder combination. 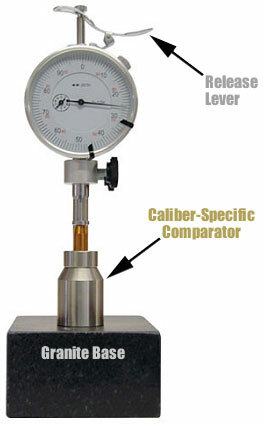 Take the best two loads and do a jump test with five rounds each, test at .005″, .025″, .060″ jump. One of these groups will be significantly better than the rest, now you can tweak that measurement +/- .002” or .005” to get the best accuracy. Test at least three different primers to determine which offers a little better ignition for your load, a 5-shot test will usually tell you which is the best. Go back and test the two best combinations in a 10-shot test at least twice, pick a cool overcast day and also a hot sunny day and compare results. Take your final “best load” back and do a “simulated match”, 20 shots, waiting at least 20 seconds between shots. If you like those results it’s probably a reliable and accurate load. I use a two-bag system, large bag on bottom with a smaller bag on top. I had the bags made of marine canvas, zippered and filled with plastic beads. I can adjust the amount of fill to make them a perfect height for my shooting position. Teammate Jeff Rorer uses a similar system and mine is nearly a copy of his rear bags. Q: How often do you practice and how many rounds do you shoot per year? In good weather I practice a couple times a week at the local range, a couple more dry-firing practices/week at home. I typically shoot between 2,000-2,500 rounds per year. Q: How do you prepare mentally before a match? [I do] lots of visualization — run the video in my head of what I expect to see and of my performance. I think about the correct strategy for the conditions, staying disciplined to the strategy. Q: What do you avoid before a shoot? No late nights or excessive alcohol. Very little caffeine in the morning. Leave your cell turned off. Avoid emotional people. Q: What’s your procedure on a Match day? I arrive early, get squadding card, move gear, watch wind speed/direction, check over rifle and gear, sit and relax, visualize and focus on the most important goal of the day. Most days we shoot three relays of 20 shots. It’s important to eat and hydrate continually all day. My focus and concentration are better when I snack all day with fruit and energy bars, and lots of water. While taking my turn in the pits, I try to relax and only focus on what is ahead of me and [not] what’s already happened. 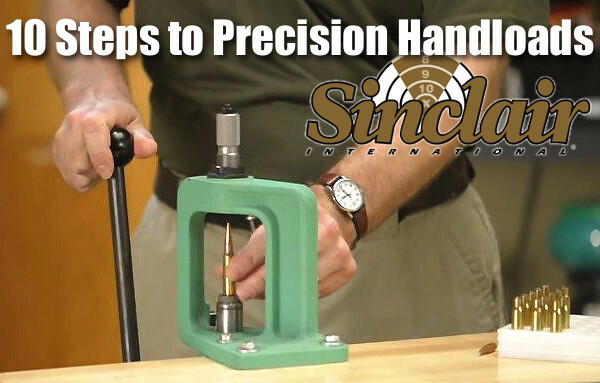 My favorite reloading product is the Sinclair Premium Neck Turning Tool with Handle, I also use the expander mandrels provided by Sinclair for sizing the brass in preparation for the turning process. Correct and repeatable neck tension begins with turning necks to a uniform thickness. Sinclair also has mandrels to size the necks after neck turning that accurately size the necks for a specific neck tension. Q: What is your preferred scope? The scope I find the most useful is the Nightforce Competition Scope. This scope is very light-weight, has 15-55X magnification, world-class quality glass, 10 MOA per revolution on the turrets, 1/8 moa adjustments. It’s perfect for F-Class competition. Q: What advice do you have for someone wanting to get into the sport? Find a local club with some F-TR shooters and ask for their help. Most shooters will be happy to take you with them to a match, listen and learn while you’re there. You may find out it’s not what you thought, or you may be hooked. If you decide to jump in, start with an inexpensive rifle. This sport is expensive and you don’t need a $5000 rifle to learn good wind-reading skills. 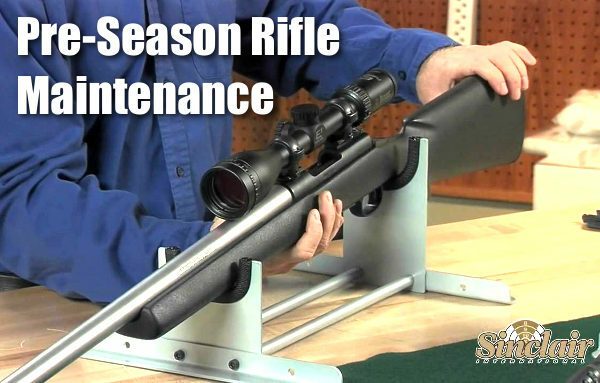 Start with a used Savage F-TR rifle and learn the basics, shoot for a year at least before making a larger investment. The money you saved buying a used Savage rifle will help pay for your divorce lawyer, LOL. Q: What training drills do you use? Dry-firing the rifle at home is a good way to practice when you can’t get to the range and shoot. It allows me to practice set-up, rifle handling, and position. When I can practice at a local range, I also dry-fire between shots to increase the amount of repetitions and increase the time spent in position. Q: Who has been your biggest influence in shooting? Eric Bair, 2006 F-Open National Champion helped me get started and gave me great advice. Most of the shooters on Team USA and Team Sinclair help each other, nobody knows all the answers but we share what we have learned. Danny Biggs, 2008 and 2009 F-TR National Champion also helped me when I was struggling to learn some of the ranges. I learned a lot from Danny. Share the post "What It Takes to Win: Tips from F-TR Ace Dan Pohlabel"
Intro: Ron Dague wanted a new gun that was similar to his trusty .223 Rem rifle, but which fired 6mm bullets. There is a superb choice of bullets in this caliber, and Ron found that the 95gr Berger VLD could be driven to a healthy 2,604 fps by the small .223 Rem case. This 6mm wildcat based on the common .223 Rem offers excellent accuracy and very low recoil — something very important in the cross-the-course discipline. In addition, Ron’s 95gr load with Reloder 15 delivered an ES of just 4 fps over ten shots. That exceptionally low ES helps achieve minimal vertical dispersion at 600 yards. I already had a .223 Remington match rifle, and I wanted the 6mm-223 to be as close to the same as I could make it. I installed the barreled action in a wood 40X stock to work up load data and work out any magazine feeding issues. While I was working on that, I looked for a McMillan Baker Special stock and finally found one to finish this project. I bedded the action and stock, then took the rifle to the range to check zeros on the sights and scope. I was surprised that I didn’t have to change anything on the sights. I thought changing the stock would cause sight changes. The thought went through my head, “Maybe the 40X stock isn’t all that bad”. 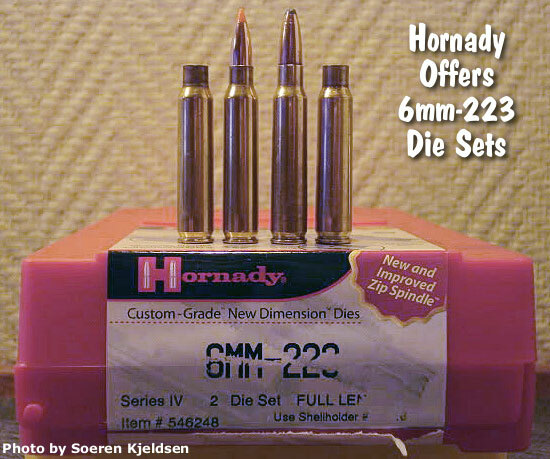 Here’s line-up of 6mm bullets. The Berger 95gr VLD is in the middle. I took the new rifle to the first match of the year, a National Match Course match, and my off-hand score was 83, rapid sitting 95, rapid prone 95, and slow fire prone 197 — for total aggregate 470. This may not be my best work, but on match day the wind was blowing about 15 mph and the temp was around 40° F, with rain threatening. This was a reduced course of fire — we shot at 200 and 300 yards on reduced targets. I used 70gr Berger bullets for this match, loaded in Remington brass with 25 grains of VihtaVuori N540 and Federal 205M primers. 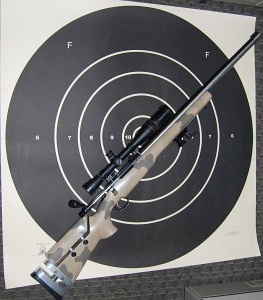 When I worked up loads for this rifle, N540 gave the best accuracy with the best extreme spread — 2,950 fps with an extreme spread of 20 fps on a 10-shot string. The load for 600 yards was with a 95gr Berger VLD bullet, with 23.0 grains of Reloder 15, Lapua cases, and the same Federal 205M primers. This load is 2,604 fps, with an extreme spread of 4 fps over a 10-shot string. I’ve shot this load at several 3×600 yard matches, and the accuracy has proven to be very good. At the last 3×600 match, my scores were as follows: 199-10x and 198-11X with scope, and 193-10X with iron sights. Best 600-yard score so far with iron sights was 198-12X. 6mm-223 Rem Rifle Specifications: 700 BDL action and floor plate, Bartlein 6mm 1:8″ twist, McMillan Baker Special stock in Desert Camo, Centra front and rear sights, Ken Farrell bases with stripper clip guide, Sinclair hand stop, and Jewell trigger. Gunsmith Neil Keller helped me with the metal work and instructed me on the action work and rebarreling. Share the post "6mm-223 Across the Course Rifle Project"
This article is part of Sinclair Int’l Step-By-Step Reloading Series. Most of the products mentioned in this article are sold through Sinclair’s webstore. Making your own precision handloads is a meticulous journey with many steps, many important matters to consider, and many sets of measurements to calculate. For those who pursue the perfect group, the highest score, the really long accurate shot, the rewards more than outweigh the effort. Choosing the right cases, deburring the flash holes, making the primer pockets uniform, trimming the cases, and lubricating them are all familiar – and critical – steps along the journey. And now that your brass preparation is complete, you are at last ready to start running the cases through your press and fill them with primers, powder, and bullets. The very first die the brass encounters is the sizing die. You insert the case, work the press’s lever to return the case to its correct pre-fired dimensions – and the journey continues. Share the post "Intro to Full-Length Dies, Neck-Sizing Dies, and Small Base Dies"
All right boys and girls — if you haven’t already spent every last red cent of your disposable income (not to mention your children’s inheritance) purchasing useless gadgets and gewgaws on Black Friday, here’s your chance to get some really important stuff — reloading tools and supplies. 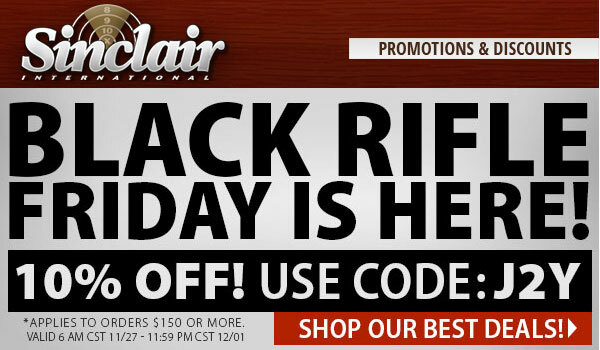 Yes, Sinclair International, purveyors of reloading supplies and shooting accessories, is having a big sale right now. 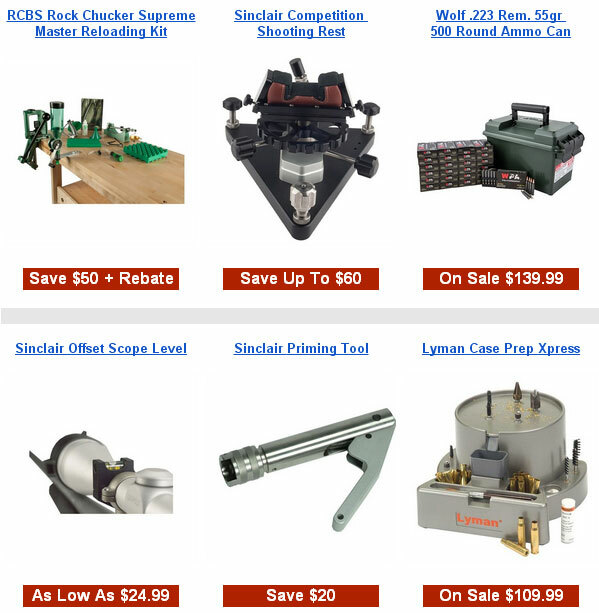 You can save big bucks on shooting rests, tools, bullets, and more. Plus, you can get 10% OFF all orders over $150.00 with PROMO CODE J2Y. Don’t delay — this 10% Savings Offer expires Monday, December 1, 2014 at 11:59 pm CT. So, you have a couple days left to pile on the savings. Share the post "Get 10% Off Sinclair Int’l Orders with Promo Code J2Y"